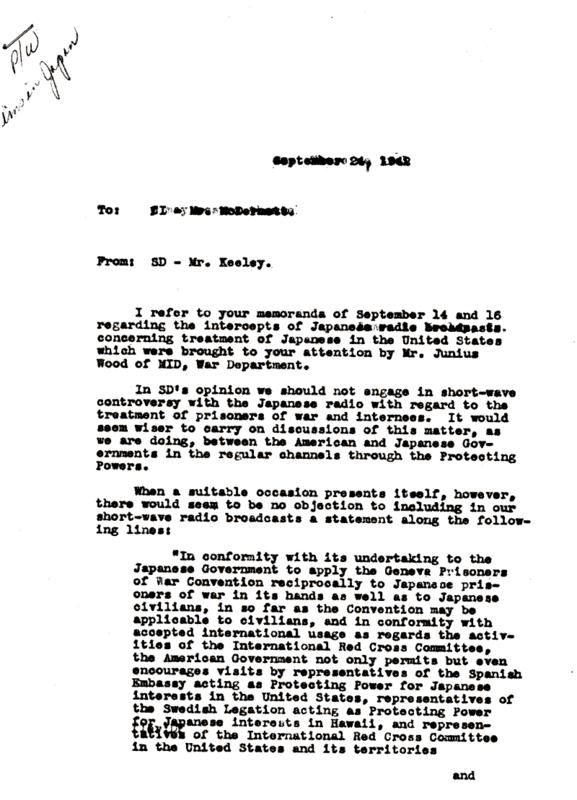 Document Notes: The radio broadcasts referred to in thie memo were made in the clear and not related to coded broadcasts used for obtaining secret intelligence. Keeley advises how these should be handled and what the U.S. position regarding the application of the Geneva Convention is. This doc is a carbon copy from the National Archives and is difficult to read in parts.